My favorite job…haulin’ slash! 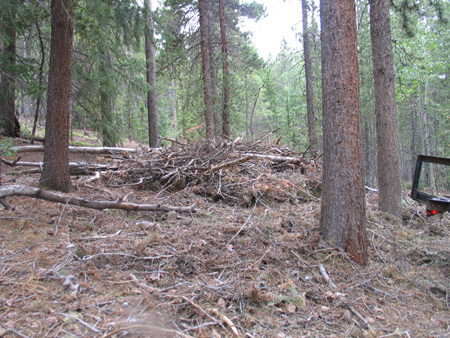 Living in the mountains on wooded property requires different ‘yard’ maintenance than lush, green lawns. A coniferous forest where fire is Mother Nature’s way of maintaining balance presents additional maintenance, otherwise known as mitigation. 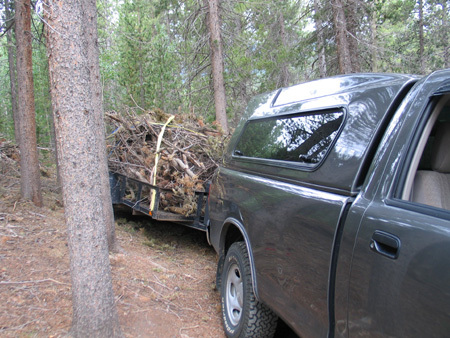 Gathering up dead wood, cutting down ladder trees and pruning the pine trees are all part of the job. I try to fool myself and call it gardening. 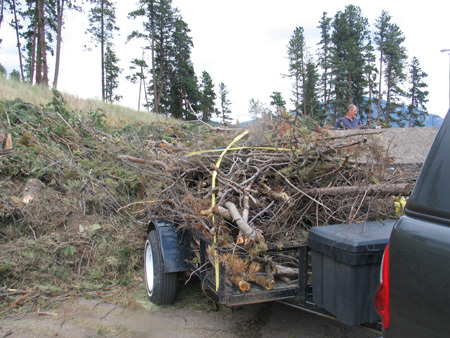 Twice each summer, the local firefighters organize slash clean-up. 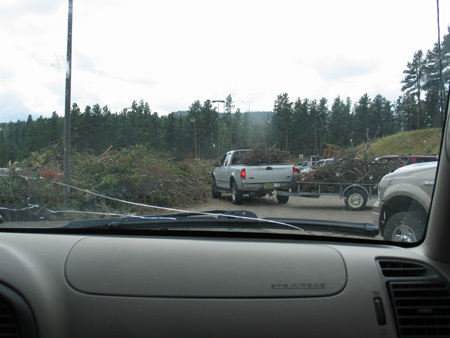 Using the high school parking lot, for a small fee local residents are able to dump slash. 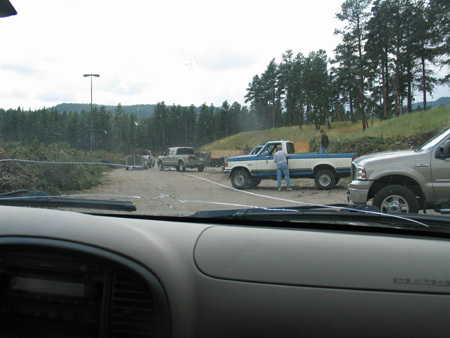 Later, workers come in with big chippers and produce mulch from the slash. Today, we’re finishing up. For Apsos on the Mountain this year, I’ll be able to hang prayer flags where I want, rather than in attempt to hide the slash pile! Have you booked your massage? ?